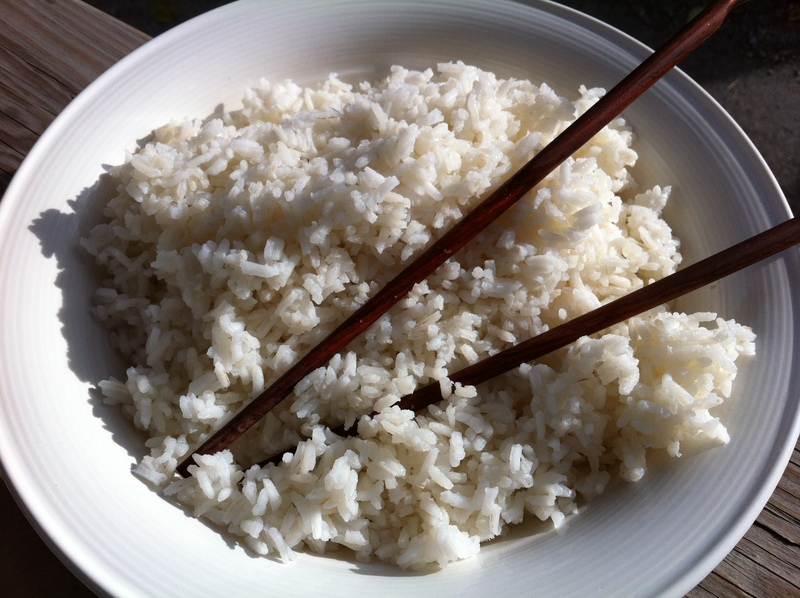 Basic White Rice is a great "meal stretcher" that can be incorporated into a wide variety of cuisines. Rice is a staple in many cultures, from Asia to South America, and yes, even in our home here in Cincinnati. Like potatoes or pasta, it is one of those “meal stretchers” that is inexpensive and tasty. 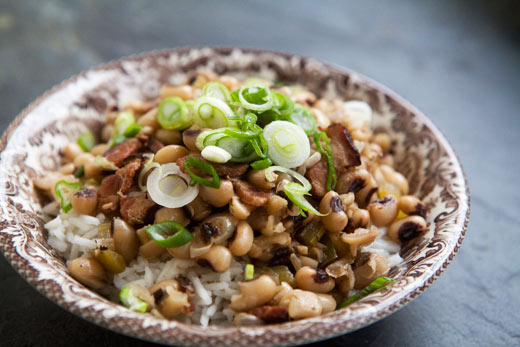 We love it in soups, with beans, or even as a base for dishes like Hoppin’ John or Kung Pao Chicken with Peanuts. 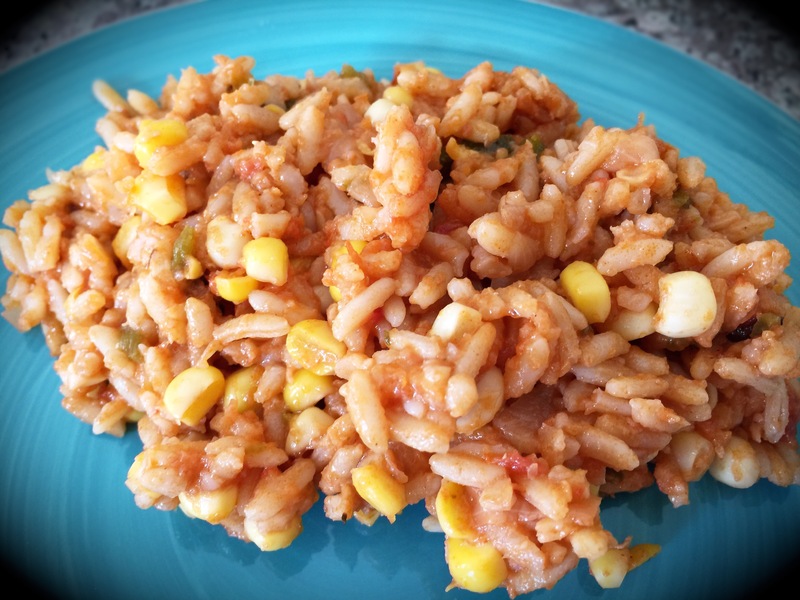 Perhaps because we make it so frequently, we didn’t realize until recently that many of our readers are used to making quick-cooking rice rather than our traditional method which takes longer to prepare, but is fluffier, healthier, and more flavorful. So for all of you who have requested our basic white rice recipe, we apologize that it has taken us so long to deliver it and hope that you’re soon making rice as frequently as we do. Pour the rice and salt into a medium saucepan. Cover with water and stir briefly to combine. Don’t over-stir or your rice will be gummy. Bring to a roiling boil over high heat. Reduce the heat to the lowest possible temperature and cover the pot. Let the rice steam for 20 minutes, until it has absorbed all the water. Remove from the heat and let the rice sit, covered, for 30 minutes. Fluff with a fork and serve. TIPS: This may seem like a lot of rice, but any leftovers may be frozen or refrigerated in a resealable plastic bag or container. Use extra rice to prepare quick fried rice, add it as a filler to soups, melt a little butter over it then serve it with a fried egg, or make any other number meals in minutes with this favorite staple. Make a favorite Chinese takeout dish at home! Our Kung Pao Chicken is tasty, spicy and filled with protein. Ever since I was a kid in California, Asian cuisine was something to be shared, and whether I was eating at the Golden Dragon in Los Angeles, Lee’s in Texarkana, or Clifton’s King Wok, I have fond memories filled with laughter, friends and good food like egg rolls, fried rice and egg drop soup with fried noodles. 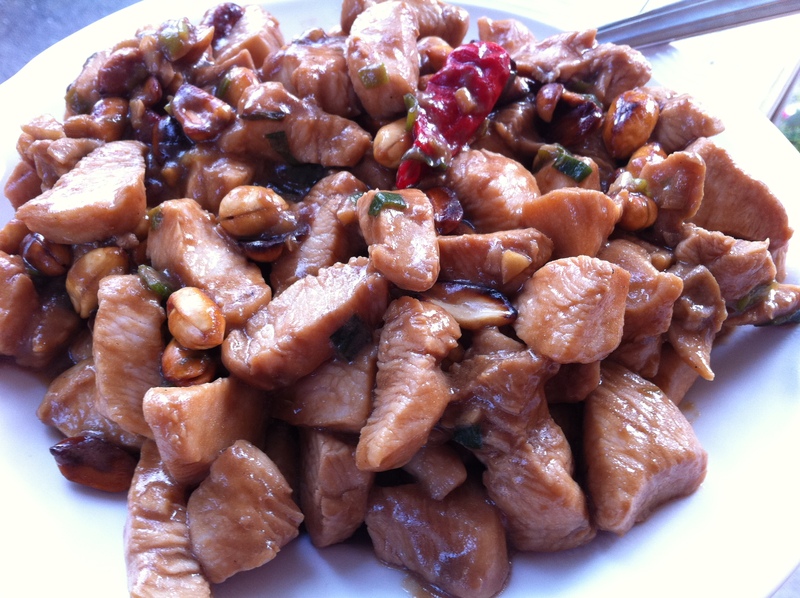 But one of my favorite dishes has always been kung pao chicken with peanuts, a dish that is spicy and surprisingly simple to prepare. So make it at home for the people you love and serve it with steamed rice, celery salad and tea for a family-style meal that will become one of your family’s favorites. Oh, and don’t forget the fortune cookies! In a bowl, whisk together the soy sauce, wine, vinegar, sugar, and sesame oil. Dice the chicken and toss it in the marinade. Cover and marinate for at least an hour to overnight in the refrigerator. Return chicken to room temperature prior to cooking. Heat a wok or skillet over high heat until very hot. Add the oil. Lightly fry the peanuts for about 1 minute and remove. Add the scallions, red peppers, and garlic. Stir-fry for about 20 seconds. Just before adding to the pan, coat the chicken in the cornstarch. Fry until the chicken is just cooked through, 3 to 4 minutes (depending on the pan and the heat). Return the peanuts to the pan and mix thoroughly to combine with the chicken. Serve immediately with white rice.